Established in 1991 and still going strong! Touch was introduced to Wales by a New Zealander, David Swain in 1991 with a tournament at Cardiff High School Old Boys RFC in Cardiff. 24 male teams in 3 divisions of 8, one being a vets division. It ran for 10 weeks from May to mid July. 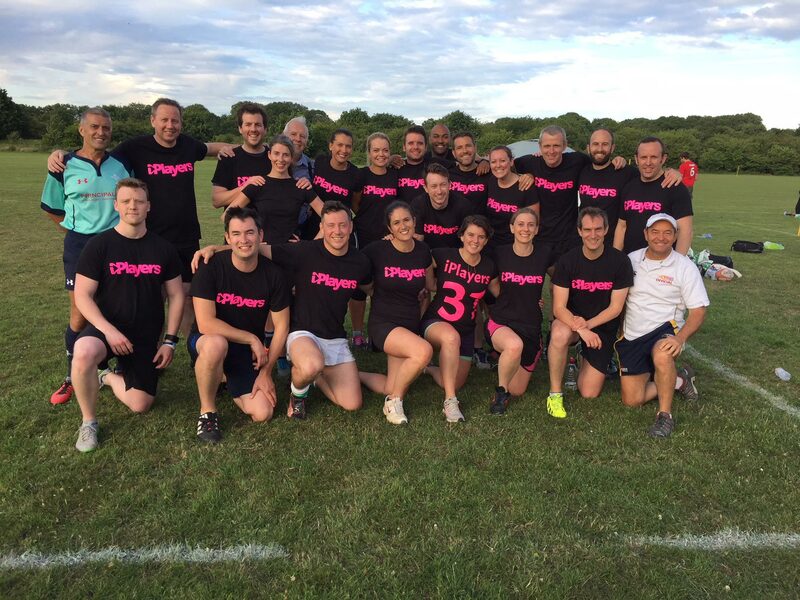 Since then, the Cardiff tourney has progressively grown over the years and although the vets (over 35) players have merged in with the open age grade players, we have seen a real growth in mixed teams. Due to the growing number of teams, the tournament moved to the Cardiff Civil Service Ground and then on to Canton RFC . A total of 92 teams registered at the Cardiff competition last season. As of 2005 The original competition has been running at Canton Rugby Club for 3 years over two nights, Monday and Thursday. Monday features 4 men’s divisions and 1 women. Thursday has 4 mixed and two men’s. A second year of Autumn Twilight touch running from September through to October 7 has been a successful innovation with two mens’ and two mixed divisions established on a Wednesday night. In total the summer competition features 86 teams and the autumn league has 22 teams. A new experimental winter icebreaker league was established in February 2006 for the hardy with 8 teams. David Swain and the now deceased Paul Nepia also a kiwi and great nephew of the great George Nepia, set up a Turnkey tournament that ran for two years at the Swansea Uplands RFC in Swansea with 16 teams. Paul Nepia set up tournaments at Canton RFC in Cardiff, Vale Touch at Barry RFC which both lasted only briefly despite his enthusiasm in expanding touch in his adopted city beyond one area. But Paul’s real strength was in coaching and motivating others. He successfully established Britain’s top men’s side the Kiwi Dragons of Cardiff who have gone on to win the national Welsh men’s and mixed open trophy. 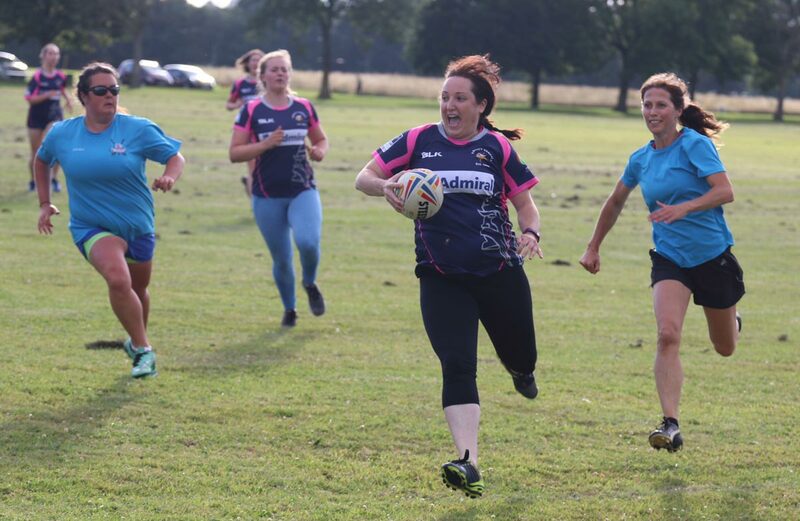 They also have won a variety of invitation tournaments held in London and the North of England where touch is gaining a popular base due to its links with rugby league. Sadly, Paul suffered an early tragic death in 1998 due to an asthma attack, leaving behind a wife Joanne and two children Kowhai and Rhiannon. The kiwi influence continued when Bay of Plenty product, Dean Kidd set up his tournament in Ebbw Vale, Gwent. Initially, it consisted of 16 teams in 1995. Dean too is a great motivator and an excellent player who can turn a game on its head with his sleight of hand and super stepping and top speed. But recently Dean’s security business has become very successful managing events such as the Glamorgan County Cricket’s home matches and other national sporting events. Consequently his input in touch in Gwent waned and his competition stopped in 2000. From the first season we sent teams representing Wales to tournaments in London involving teams from England , Scotland, Ireland, France and expatriates from NZ, OZ, Samoa and SA. In these tournaments, Wales was the leading European nation at both mixed and mens open divisions. We have hosted touring teams from Penrith Panthers in Sydney and various elite club teams from England. Wales hosted the European championships, has sent teams to three world cups and two European championship. To do so The Welsh Touch Association was established by Neil Perkins, Gwion Kennard, Dave Swain and Dean Kidd. 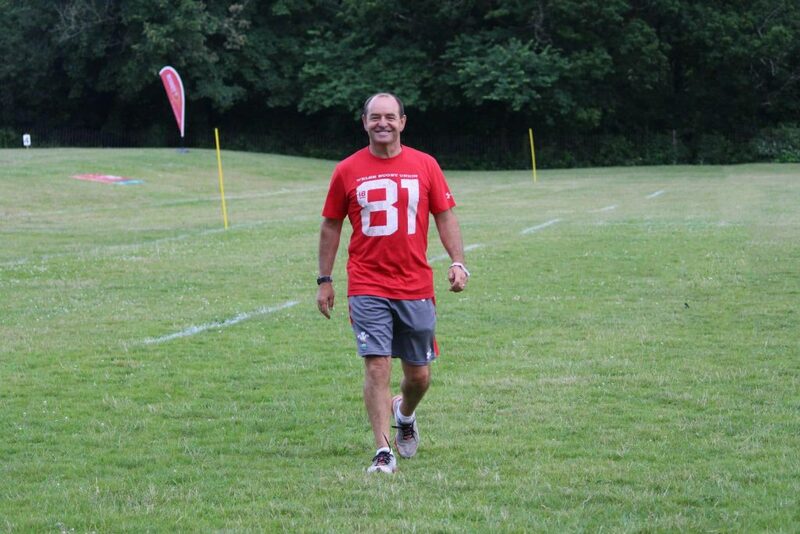 An excellent administrator, player and referee, neil is the Welsh Rep on the European Touch Association. Neil Perkins established a tournament at Pontyclun serving the Rhondda Cynon Taff province and has successfully organized the hosting of the European championships. He established Beach Touch inviting elite squads from UK to compete at Pendine Sands in Pembrokeshire. Neil Perkins and Alison Eves set up a second competition in Cardiff. Initially basing themselves at Llandaff North, then Cardiff High School Old boys they are now ensconced at St Peter’s Diamond Ground. In 1999 Neil Perkins , Gwion and Rachel Kennard also established the first schools national touch tournament with RCT school Cardinal Newman HIgh beating Cantonian High School from Cardiff in the senior final. This year, Wales sent a national over 35 team to the New Zealand All Nations Tournament. This consisted mainly of the players from the very successful Marvelous Malarkeys led by Steve Higgs. The first winter tournament ran in 2006 at Leckwith Stadium under lights on grass inside the running track. 8 teams played divided into mens and mixed sides. The winners again were the Marvellous Malarkeys and the Malarkey mixed side beating Gwladers and Hyder respectively. In 2005 and 2006 the Welsh womens rugby team hosted a tournament in the Millennium Stadium. Both tournaments were very successful with the Alex Welch led side Hyder winning. For many this was the opportunity of a lifetime to play inside a world class stadium albeit empty. But nevertheless it’s something to tell your grandkids. 2006 will see Wales send teams in all categories to the 3rd European championships hosted this time in Edinburgh. After winning the men’s and womens final of the British championships in the same city last year Wales will fancy their chances of taking home some medals. And then on to the world cup.